It’s almost Thanksgiving, and man, am I thankful. 2018 has been a year of big career changes for me and I look back on all of them with tremendous gratitude. This was the year I left big brokerage after 21 years. While I had some of the best mentors at JLL, Staubach and Colliers and they were great places to learn commercial real estate, I needed a change. I am immensely grateful for the ability to take a leap of faith and leave my previous position in April without knowing what my next step was going to be. I had the good fortune of being able take a short sabbatical to figure out what the next right thing for me was. It hit home. I was ready to get back to work. In that vein, I owe a big debt of gratitude to Meredith Calhoun, who recruited me to take her place as COO of Corporate Realty as she left to pursue her entrepreneurial dreams. Meredith and Corporate Realty CEO Robert Simon shared their vision for Corporate Realty with me and convinced me (someone with no experience in development) that my unique background could be of value in helping achieve this vision. They also helped me realize that this role would give me the perfect opportunity to continue growing professionally. On my first day at Corporate Realty, I was immersed in development and brokerage meetings. And each meeting contained numerous strong, smart, professional women. If commercial real estate is not your world, you might think this is no big deal, but I assure you, it is. Especially in the South. I soon learned that all of the men working at Corporate Realty are married to strong, smart women and they clearly value this about their wives. This is so evident in our office culture. I have never worked on such a level playing field in my life and it is a game changer. If your company isn’t there yet, keep pushing. It’s a goal worth achieving. I am oh so thankful to be back in a downtown office. There is so much energy and activity in downtown Birmingham these days and it is a ton of fun to be a part of it. Speaking of downtown, this year, I was introduced to the team at Orchestra Partners. Holy he11. This young Birmingham development company is betting on Birmingham in a big way and it is super inspiring. Pay attention. Support their efforts. We need people like them. I am also thankful to have a true brokerage partner in Emily Byrd; she’s the sh*t[i]. 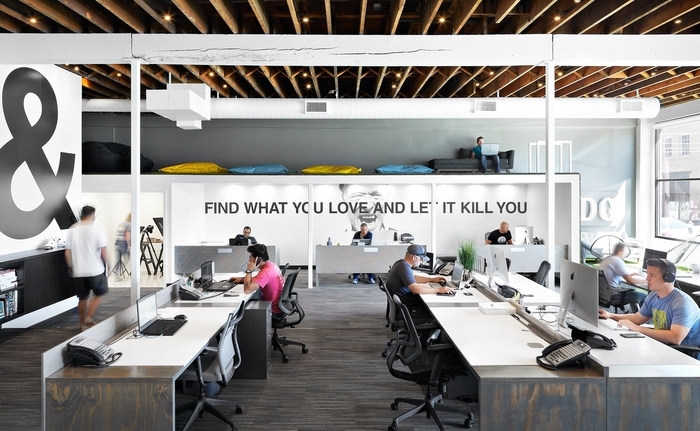 We share an office, a workload, a ton of laughter and a love of French fries. And on the downtown Birmingham note, I am grateful for Carrigan’s French fries, to which Emily introduced me. If you haven’t had them, you are missing out. I used to be grateful for Corporate Realty’s chocolate drawer. 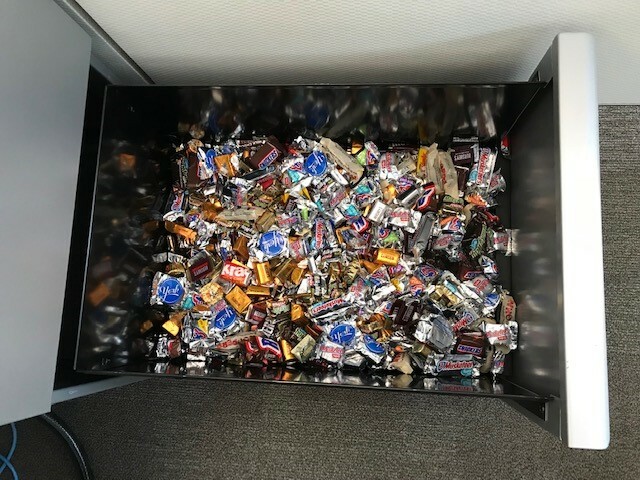 Yep, drawer — we have a huge file drawer full of chocolate. [i] Editorial emphasis added by proofreader, Emily Byrd. [ii] By the way, Chocolata chocolate was deemed an exception to this pact as (1) it is a delicacy in which you cannot possibly overindulge and (2) when you have the opportunity to eat Chocolata, you should most certainly do so.